Beacon Awards & Signs remains a family owned company with strong roots in our community. in 1983 in the Campbell’s Junction section of Middletown. 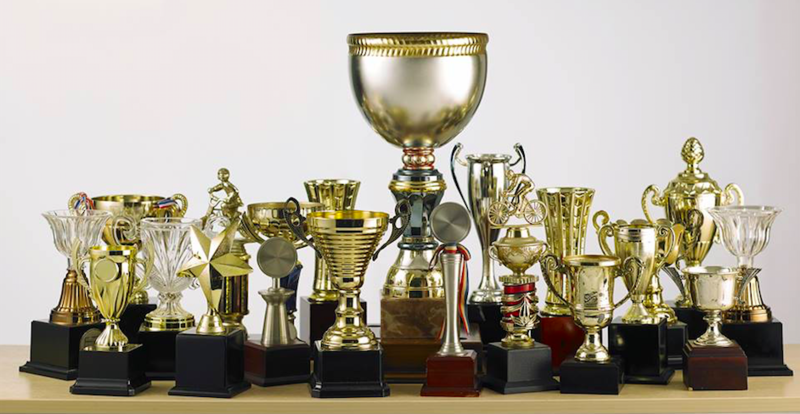 He started with a hand-graver and assembled all of the trophies by hand. When he decided to focus more on his teaching and coaching career in 1990, he sold the business to his brother, Ray Veth & Bob Abbot. Veth was the Corporate Director of Personnel for Bell Atlantic Yellow Pages and Abbot was was a Physical Education teacher in Middletown. They were high school football teammates and friends and had extensive contacts and worked to make the operation more efficient. They renamed the business All American Awards. With a computerized engraver and better marketing, All American Awards began to grow and increase market share. A newer and larger showroom was established at 1020 Highway 35 in Middletown. When Ray Veth retired from Verizon in 1998, he entered the awards industry on a full time basis. Born and raised in Middletown, he established Beacon Awards & Signs and the business was located at 285 Highway 35 North in Middletown, it’s current headquarters. The face of the business changed dramatically from just doing trophies for leagues and basic plaques for associations and businesses. With new laser engravers, a heat press and a cad cut machine for vinyl lettering, the product line expanded into Architectural Signage, Braille/ADA and Way Finding Signs, Imprinted and Embroidered Apparel, Custom Flags, Promotional Items and Varsity Jackets. With 17 straight years of increased growth, Beacon Awards & Signs is now the largest of its kind in the Jersey Shore and one of the largest in the state. In addition to being the largest provider of varsity jackets in New Jersey, we provide personalized services to virtually every school district, league, and association as well small & large businesses in Monmouth County.